First things first: Happy New Year! We’re thankful for all of you keeping up with us in 2016 and looking forward to what this next year holds. We appreciate your time and thoughts throughout the past year, and we are excited to work together to accomplish your financial goals in 2017. Consumer Confidence Surge: On December 27, Consumer Confidence beat expectations to reach 113.7 — a 13-year high. This metric indicates that consumers feel more positively about jobs, personal finances, business conditions, and more. 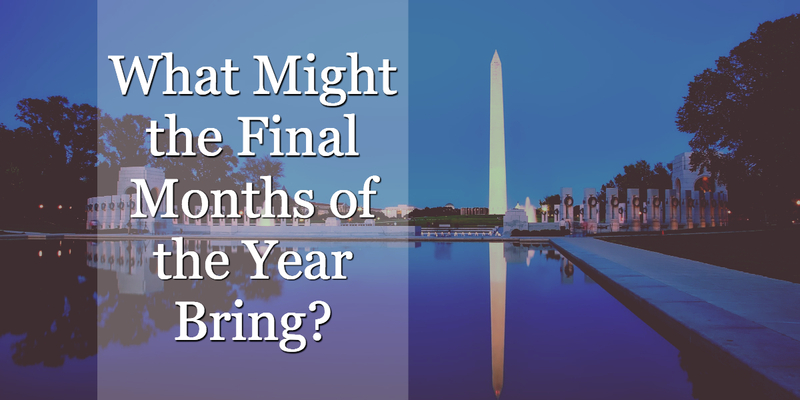 We all know that 2016 brought its fair share of surprises — from victories for Brexit and Donald Trump, to our recent stock market rally and beyond. However, the year ended with domestic indexes up and a number of positive economic indicators. As we look toward our future in 2017, we see opportunities for continued growth, as well as many questions that no one can yet answer. The questions remain, but no matter the answers, we are here to help guide you through the year—and toward your goals—with proactive, strategic support. If you want to talk about what we experienced in 2016, or what we anticipate for the year ahead, we would love to get in touch with you. Please reach out to us at hello@hzcapital.com or give us a call at 419-425-2400. 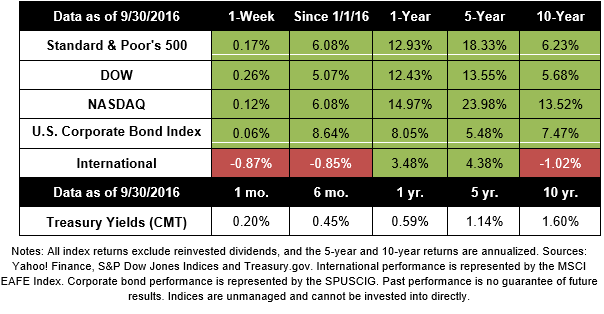 After a three-week run where all major U.S. indexes posted significant gains, we saw more mixed results last week. The Dow was up 0.10%, but the S&P 500 lost 0.97% and the NASDAQ was down 2.65%. The MSCI EAFE’s measure of international developed markets also dropped 0.24%. Unemployment dropped again to 4.6%—hitting its lowest level since August 2007. From our perspective, the most immediate risk to market performance could be the Italian Referendum. On December 4, Italians voted against Prime Minister Matteo Renzi’s constitutional amendment that would have reduced their Senate’s size and power while limiting the regional governments’ strength. From Renzi’s perspective, this move would stop the gridlock so common in Italy’s government while helping to stabilize the country, improve investor confidence, and speed economic recovery. Now that “No” has prevailed, we may see additional instability in Europe. Prime Minister Renzi has promised to step down, leaving big questions about who will lead Italy and how they will find a new leader. In addition, some of Italy’s largest banks may now be at risk of insolvency, as they have fewer tools for lifting the $380 billion of bad loans that weigh them down. If you have any questions about how current events are affecting your financial life, we are here to talk. Please contact us any time. In this video, I discuss major events that occurred in July and their impact on the economy and investors. We also discovered that Josh is the king of dad jokes. When it comes to investing, you are better off ignoring politics and paying attention to the business activity around you. I am grateful to be living in a great country where the future is always better than the past. 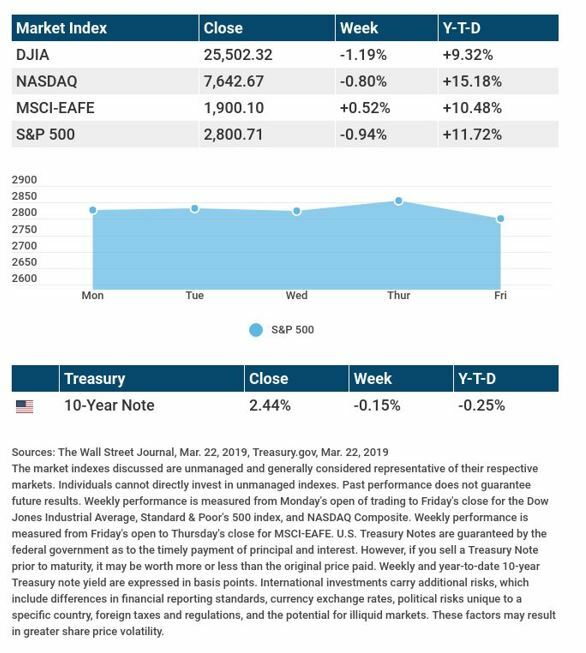 It’s important for investors to remember that the White House does not drive the direction of the markets over the long term. It’s the great companies of the United States, like Marathon Petroleum Corporation, that drive business activity and, ultimately, stock prices higher over the long term. Send us an email or give us a call if you have any questions or concerns you would like to discuss with us.